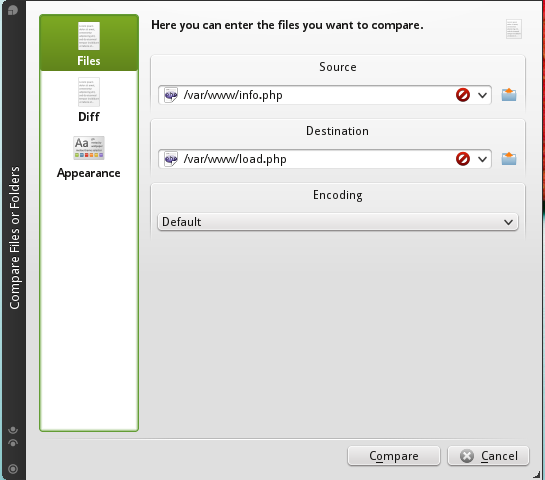 Let’s assume you have two versions of files for index1.php, index2.php and want to know the exact differences between these two files. Kompare can do that for you. It has very simple interface. You can set the options, change font colors for comparison. It will be installed by default in KDE, if you have KDE desktop. But if not or want to checkout it out in other desktop environment in openSUSE.